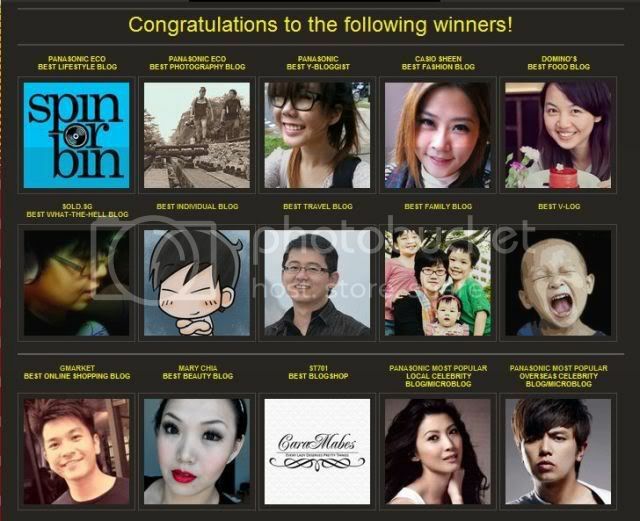 Singapore Blog Awards 2012 + my Winning "Speech"! / IISJONG | Singapore-Australia Lifestyle & Travel Blog IISJONG | Singapore-Australia Lifestyle & Travel Blog: Singapore Blog Awards 2012 + my Winning "Speech"! 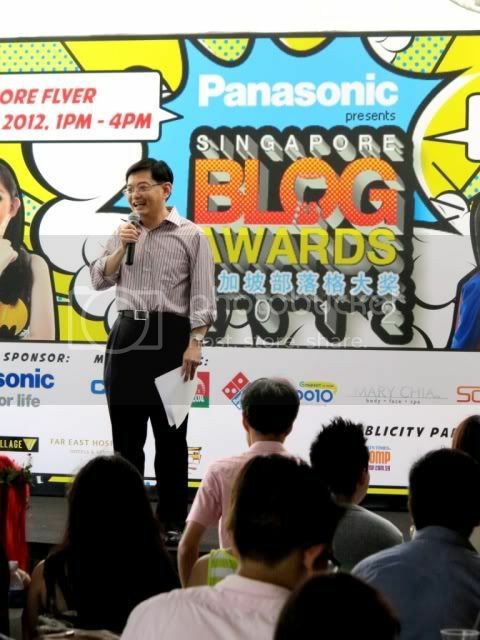 Singapore Blog Awards 2012 + my Winning "Speech"! There was a splendid radiant of hot sun rays on the 21st of July, Saturday. I thought that EVERYONE would dress up according to the theme, so I dug up the only Super Hero-ish item in my wardrobe - Superman hoodie I got from Universal Studios in Brisbane, Australia. I must be insane; learnt that the hard way! It was people mountain people sea when I arrived! I literally went @. @ as I squinted my eyes and scanned through the crowd to find people I know. That was when it struck me: there are soooooooooooo many bloggers but I don't even know more than half of them. BLOGOSPHERE, Y U SO BIG!? Thankfully, I managed to squeeze my way through the crowd and found the lovely omy staff in pink for registration! As I was queuing up, the first performer left me pleasantly surprised with her booming voice. She sounded... Familiar. Turned around and saw Miranda on stage! 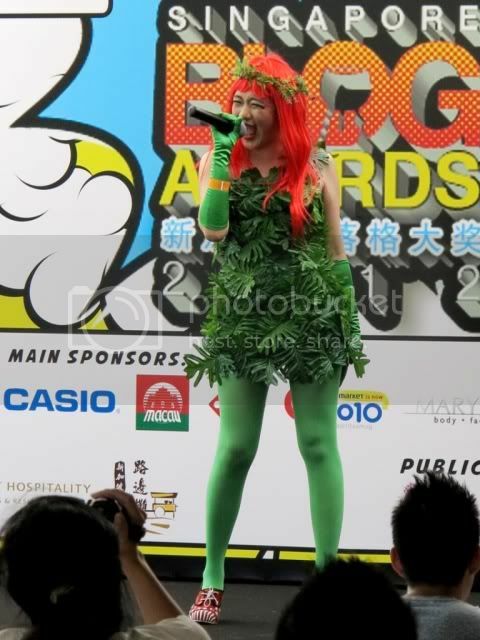 I love her outfit (especially those heels); she's Poison Ivy by the way! First up! I present to you...... Our 5 Super Bloggers! We were given a speech by Guest-of-Honour, Mr Heng Swee Keat. If you think his face and name sounds familiar (you should), well yeah. He's the Minister of Education in Singapore! Look who I spotted just a table away! 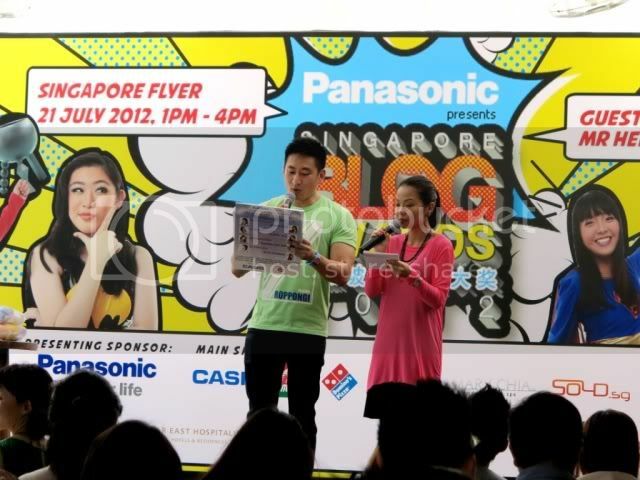 The two really adorable YouTube sensations, Dr. Jiajia and Big Bro. I was so tempted to pinch their cheeks! Coincidentally, people called me Jiajia back in Secondary School, hahaha! I like the pamphlet for this year's awards! So colourful & comicy. Spot me! ..... And here are the results! 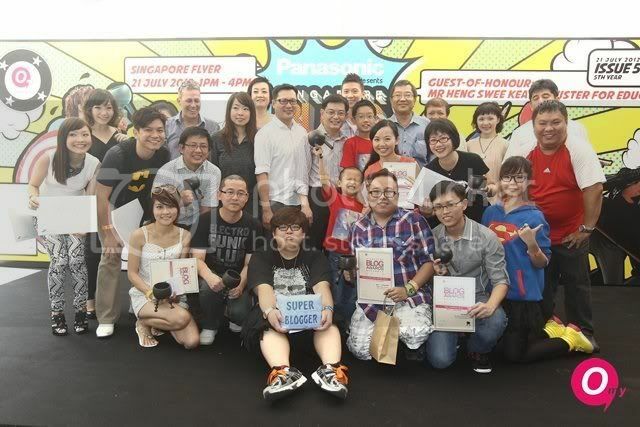 Hop on over to http://sgblogawards.omy.sg/ for the links, pictures and video interviews! There you have it. Me! 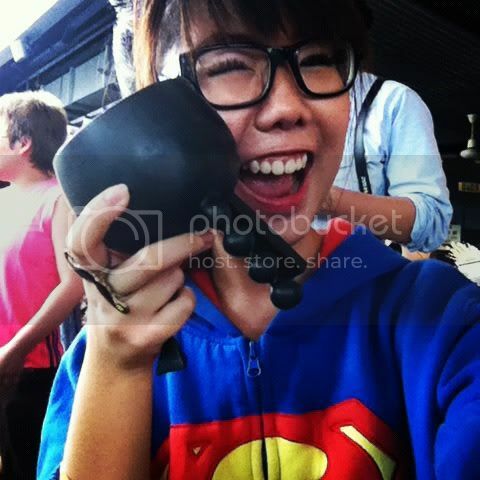 ;D Photo credit to omy.sg. For the people who happened to stumble into this blog, you're probably wondering: "Who is this girl? Haven't heard of her before and she won an award!?" I know, I know.. I don't even have a Facebook "LIKE" page to start with. That is why if you ask me how I feel about my win, I'd reply you "Like Tin Pei Ling", because honestly..... I really don't know what to say. Well to start, I've had many setbacks and failures before this. It was not easy for me to accept them. So finally, winning such a prestigious award this time at the age of 18, after 7 years of blogging here and there........ Honoured and overjoyed, yes I am. In fact, I feel exceptionally proud of myself for my achievement! 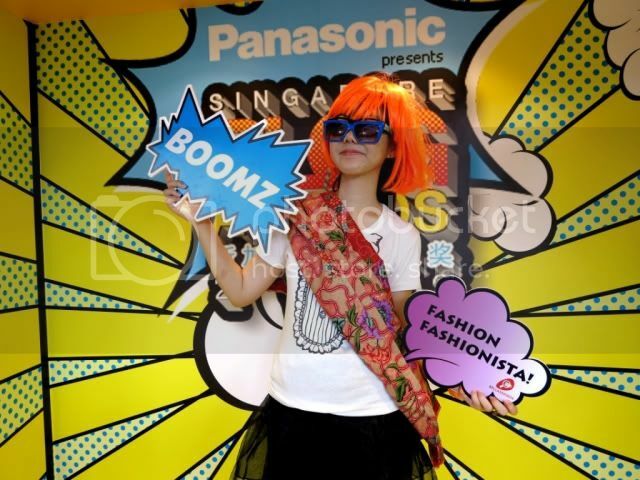 I have this crazy urge to make a huge poster plastered with my face on it, and run around Singapore screaming with it! It's not easy to maintain a blog, and I know of too many people who simply just gave up. If you own a blog, you should understand that our blog is our everything. We spend so much time on this little space using our blood, sweat, tears and whatnot to express how we feel inside of us. Sometimes to the extent that we don't have time for ourselves and the people we love. It's just.. Difficult to explain (especially to my parents). 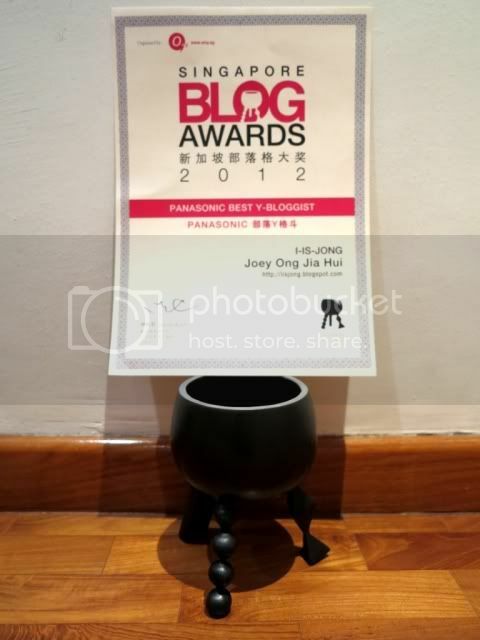 Winning a blog award is like... Every blogger's dream. It's nice to know that all your hard work paid off! But of course, I believe that every blogger is a winner in their own way. Yeah, I feel blessed all right. But at the same time, my heart feels as heavy as my winning trophy (I kid you not, that thing weighs a tonne! WHAT IS THIS SORCERY MADE OF!?). I know that I am just this small little dot in the blogosphere, I am very aware that the public, even some of my friends and family, don't take me seriously. Not trying to be emo or anything, but I just feel that... I worked so damn hard for something I love so much, but why can't people recognize my efforts and sincerely congratulate me? Deep down, I know that I'm not really there yet. Still have a long way to go! Being a Singaporean, I am kiasu. I want to strive forward and be the very best that I can. Not only for myself, but for the readers of this blog. It's only after taking part in so many of these competition did I realize who were the people who are truly supportive and happy for me, and I am eternally grateful for that. I may have a change in "title", but it serves as a reminder that I need to stay humble and work so much harder than before. I am thankful for this process; it evolved me into a more matured individual. There are just too many people I want to thank. 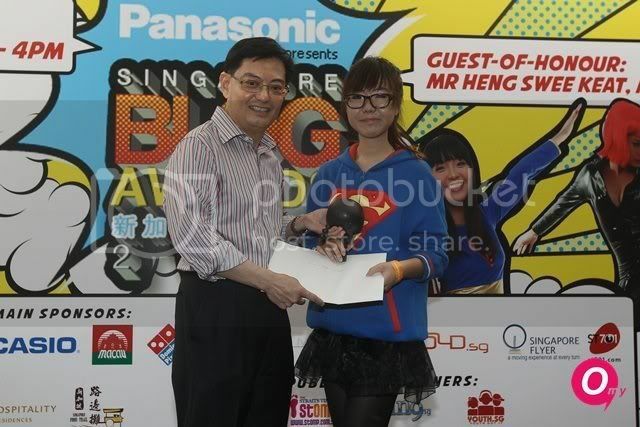 Firstly, there's Rui Ting who nominated me, the judges who picked me, the omy staff for being so awesome, Chester for helping me with the video challenge, the usual's on Twitter; we voted for each other almost every day and created new friendships (I think we stand a chance to walk away with the prizes for Voters lololol). And the friends who have been really super helpful and supportive of me, those who have been quietly supporting me and the readers for making my blog going. This does not mark the end of me. Rather, it's the start of something new. And I hope that you'll continue to be a part of my remaining long journey. 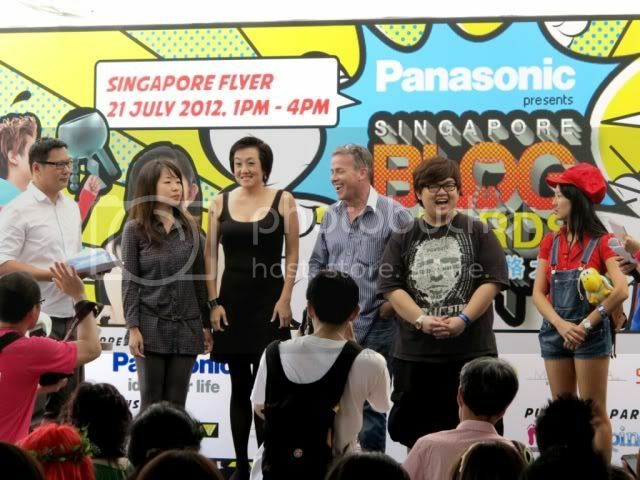 Aiyaaa..i should have just approached u and take picture with u hor on that day! You totally deserved that! =D Congrats babe!